Meet the Board of Directors for the West Niagara Agricultural Society. They are pleased to announce that the Community Hall is open for banquets, trade shows, weddings and more. They are always interested in welcoming new volunteers and sponsors. 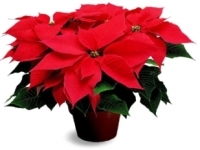 What better way to decorate for the holidays than with Poinsettias and Porch Pots and help Raise the Barn, Grow the Community! 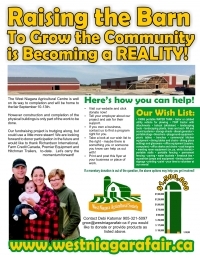 West Niagara Agricultural Centre is participating in Meridian Credit Union's contest. 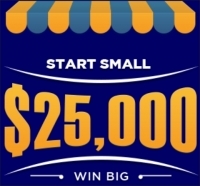 We could win $25,000, so be sure to register, VOTE and SHARE! $25,000 would be a great addition to our Raise The Barn. Grow the Community Campaign! An aerial view of the new West Niagara Agricultural Centre in progress.